I know it's not actually our annviversary, but I wanted to mark the occasion on the blog. Just over a year ago, Tom and I stood up in our church in front of friends and family and made our vows. We then feasted on tea and cake and partied into the night. 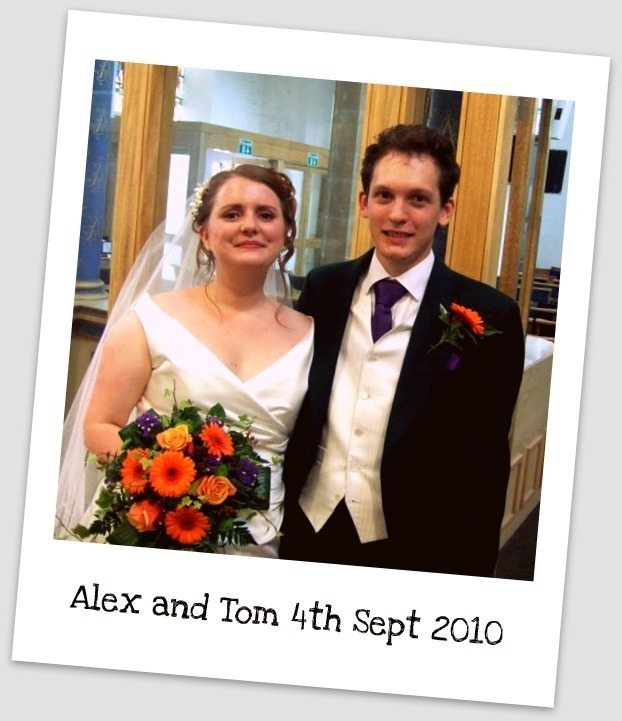 One year on, I can't remember much about the day, but I've got a year's worth of happy memories of being married. Still finding it wierd and enjoyable to say "Hello Husband". Gardening and holidaying together. Being subtly more part of each other's families. Praying together. Reading to each other. Still catching myself gazing at him adoringly. Partying together.